Authors Note: The circumstances surrounding my having seen this movie early and my review having been written months ago are explained at the end of this review. Here we go again, another video game movie. 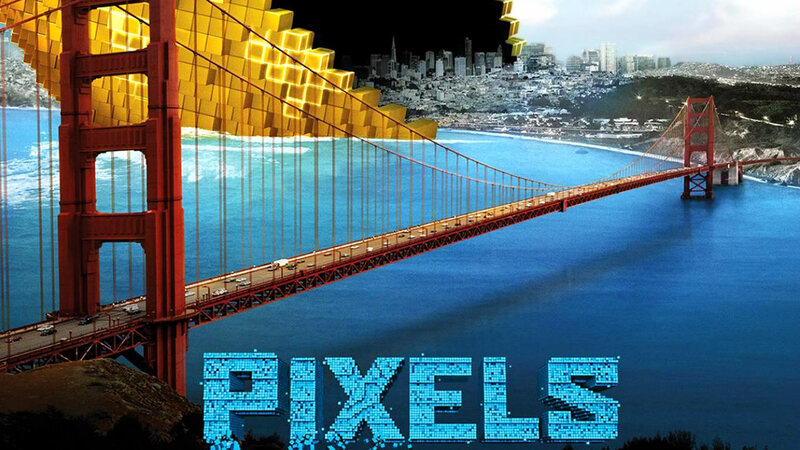 That’s all I seem to think about whenever I see anything like Pixels advertised, so needless to say I went into my initial screening with very low hopes. Couple that with the fact that the starring roles belong to Adam Sandler and Kevin James, two actors of which I despise most of their work, and you basically have a formula for what I assumed would be a disaster. Thanks to some lighthearted implementation of some of gaming’s first arcade titles (Pac-Man, Centepede, Donkey Kong, etc.) and the assistance of great supporting cast members Josh Gad and Peter Dinklage, this 80s nostalgia flick just became yet another in a sea of big dumb fun summer blockbusters. If you over think it, this movie falls apart, but if you just go in with zero expectations and want to enjoy two hours, you might be pleasantly surprised.